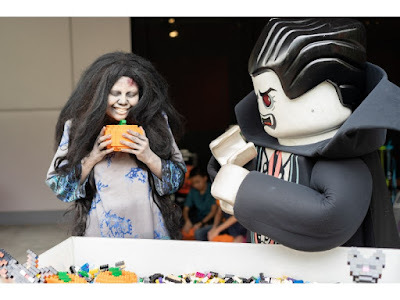 Malaysia’s most favourite ghost Hantu Kak Limah was seen at LEGOLAND® Malaysia Resort today participating in its spooky fun Halloween Brick-or-Treat celebration. 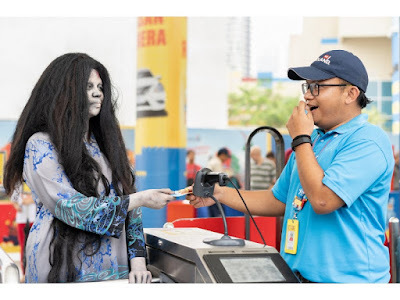 Hantu Kak Limah embarked on an exhilarating journey in a fun day out including completing tasks at the Hut Activity Trail and unleashing her creativity at the Speed Building Challenges. Hantu Kak Limah was also caught dressed up in her best Halloween looks and hanging out with her favourite LEGO® characters at the Monsters’ Parade and Brick-Or-Treat Party Night. The fun doesn’t stop there as Hantu Kak Limah continues to enjoy the many activities happening around the park such as LEGO® building sessions with her friends. She also experienced her first virtual reality roller coaster ride at The Great LEGO® Race VR Coaster. Hantu Kak Limah discovering her new found love for pumpkins instead of bubur keladi. Hantu Kak Limah showing off her dance moves during the Monsters’ Parade. 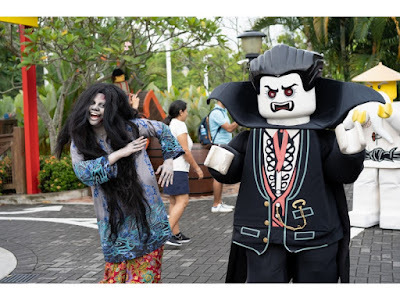 The LEGOLAND® Malaysia Resort team was star-struck when they greeted Hantu Kak Limah into the park. 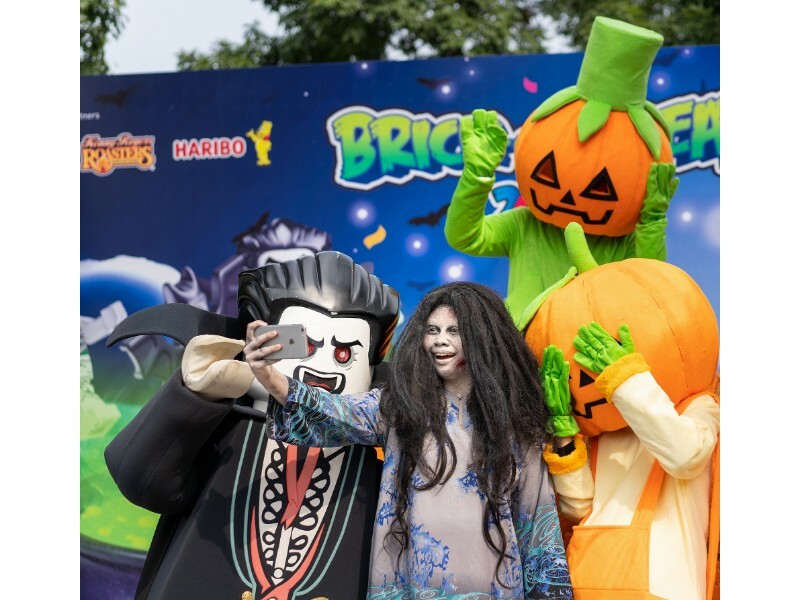 Hantu Kak Limah takes a selfie with her friends to remember the epic day she had. The LEGOLAND® Malaysia Resort brings together a LEGOLAND® Theme Park, Water Park and Hotel in one LEGO® themed location. It is a family holiday destination with more than 70 hands-on rides, slides, shows and attractions and designed for families with children aged 2-12. It’s the first of its kind in Asia and offers adventure, education and fun for action-packed day trips or short break destination. The resort was awarded the Best Tourist Attraction in the Man-Made Attraction category at the prestigious Malaysia Tourism Awards for the year of 2014/2015. Most recently, LEGOLAND® Malaysia Resort was named as one of the top 10 amusement parks in Asia by TripAdvisor®. 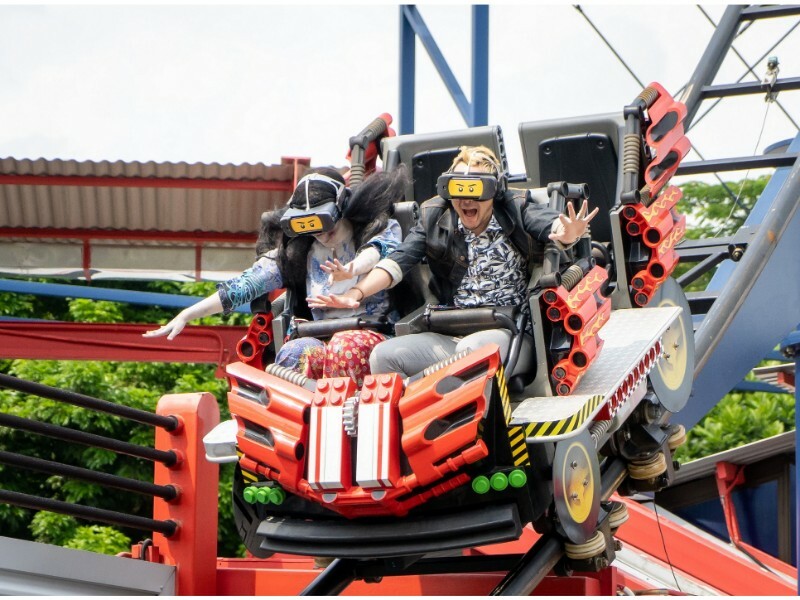 Having bagged these achievements and many more unstated, LEGOLAND® Malaysia Resort seeks to continue to expand and bring new additions to the Resort, to ensure that it remains the crown jewel of Malaysia. The soon-to-be opened SEA LIFE Malaysia is the first SEA LIFE to open in Malaysia, lying adjacent to other existing ventures of Merlin Entertainments – LEGOLAND® Malaysia Theme Park, LEGOLAND® Water Park and LEGOLAND® Hotel. Located at the heart of Iskandar Puteri, the unique and interactive sea aquarium provides visitors with a fun and educational underwater experience. Through compelling storytelling and up-close interaction, SEA LIFE Malaysia aims to engage and inspire kids to learn about the oceans throughout its 11 different habitat zones. MERLIN ENTERTAINMENTS plc is the leading name in location-based, family entertainment. Europe’s Number 1 and the world’s second-largest visitor attraction operator, Merlin now operates more than 120 attractions, 18 hotels and 6 holiday villages in 23 countries and across 4 continents. The company aims to deliver memorable and rewarding experiences to its almost 66 million visitors worldwide, through its iconic global and local brands, and the commitment and passion of its managers and 26,000 employees (peak season). 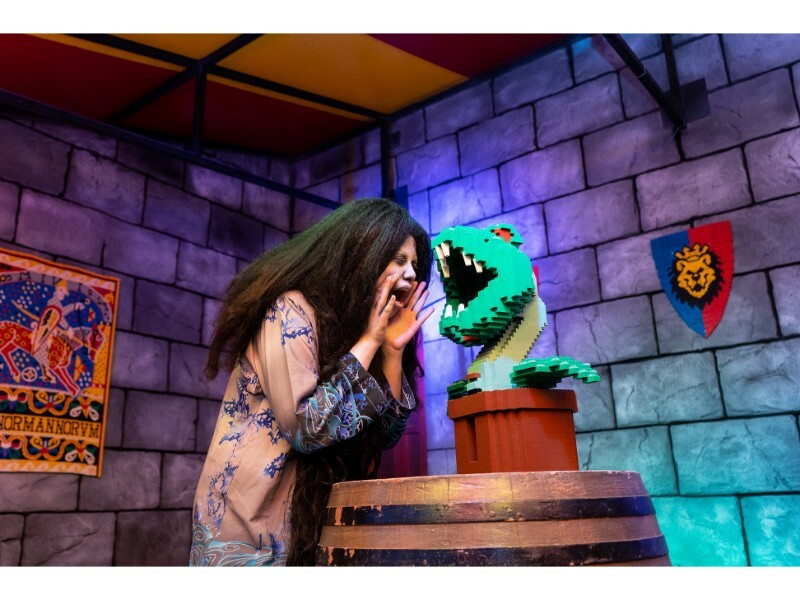 Merlin currently has more than 15 attractions in Asia including world renowned brands of Madame Tussauds, SEA LIFE, LEGOLAND® Discovery Centres and the fantastic LEGOLAND® resort with its theme park, hotel and water park. The operations spans across 10 countries and territory. Visit www.merlinentertainments.biz for more information.